Chicken Gizzards are found in the digestive tracts of chickens. There are so are ways to prepare the chicken gizzard of which one is to prepare sauce or stew with it. Gizzards contain proteins and contain nutrients for energy production. 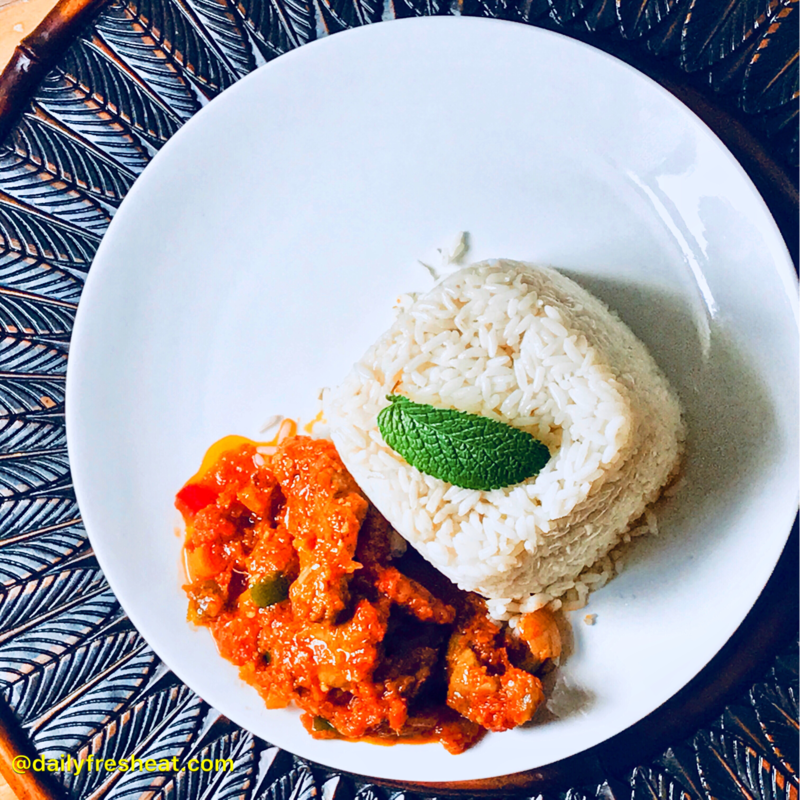 You can use chicken gizzard to pair with staples such as white or brown rice, boiled or fried plantains, boiled or roasted yam and boiled or grilled potatoes. 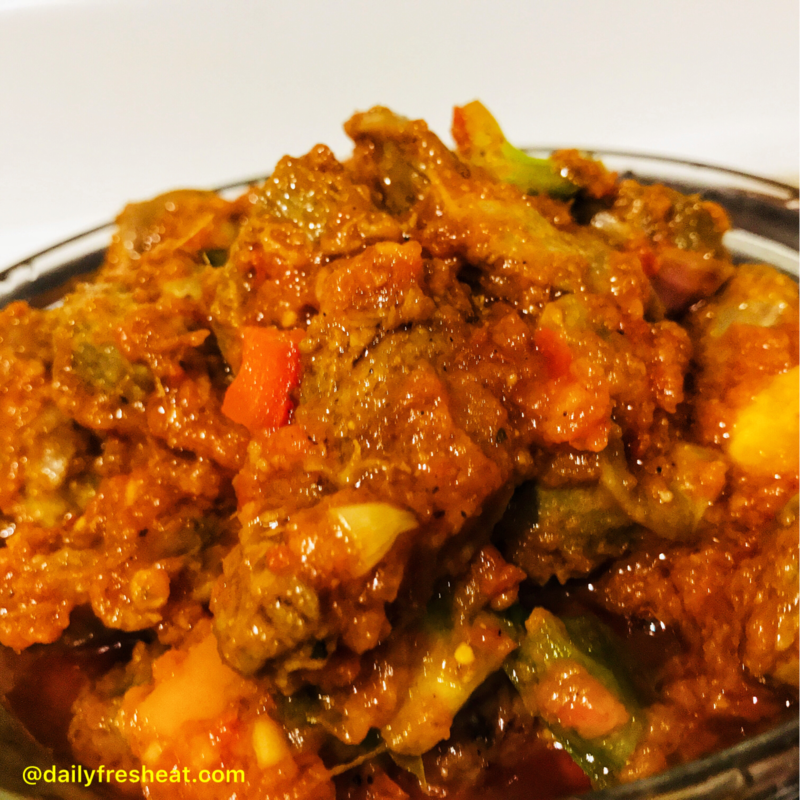 ➢ Wash and place gizzard into a sizable pot, season with the stock cube, thyme, chopped onions, salt and seasoning powder, then put on a medium heat to cook for approximately 30minutes. Don’t forget to add small water to it. ➢ Get rid of the stems and seeds of the bell peppers and chop. Also chop the tomatoes, habanero peppers, onions, ginger, and garlic. ➢ Blend the tomatoes, peppers, ginger, garlic and some onions together. ➢ Pour out the blended mixtures into a pot and allow to simmer until the water is dried up. Then set aside. 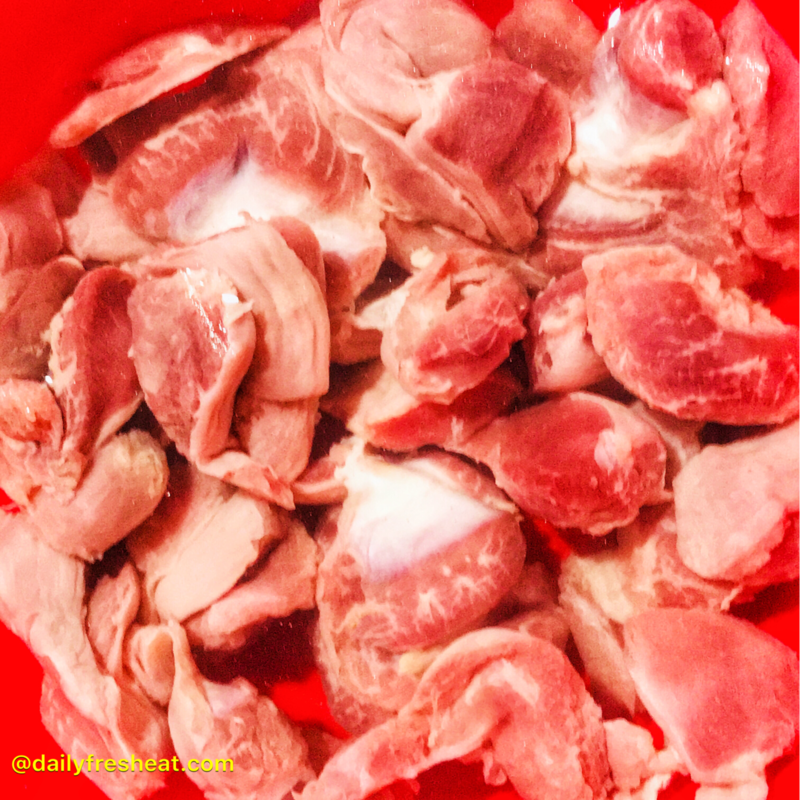 ➢ Once the meat is done, pour out into a plate and separate the gizzard from the stock. ➢ Add the olive oil into the emptied pot, add the onions and stir, then add the gizzard and stir for 2 minutes. ➢ Add the blended mixtures, season with stock cubes, seasoning powder, curry powder and salt. Stir and leave to simmer on a low heat for 5 minutes. Stir consistently to prevent burning. Serve and enjoy with any staple of your choice. You will enjoy it..thanks for checking it out. Looks good and sure taste good.